It was a wet and dreary closing to the season at MN C&C but as always, spirits were high. 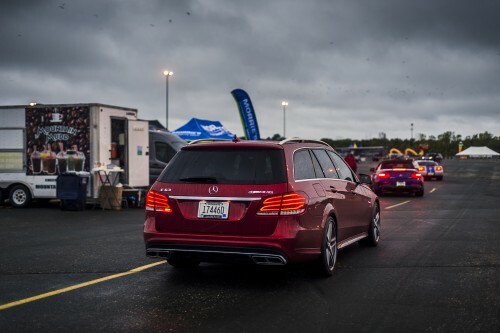 The same could be said of the caliber of cars that attended the show, with many drivers bringing out a great assortment of cars despite the weather. All in all, it was a great season of MN C&C and we’re already looking forward to next April when we can see all of our friends and their cool cars again! Print article This entry was posted by Alex Bellus on October 8, 2017 at 10:49 am, and is filed under Blog, Car Shows, Cars and Cafe, Events. Follow any responses to this post through RSS 2.0. You can leave a response or trackback from your own site. I intended to post you one very little note to give many thanks the moment again relating to the pleasant strategies you have provided in this article. It is quite remarkably open-handed with people like you to convey openly all many of us might have marketed for an e-book to make some bucks on their own, especially considering the fact that you could have tried it if you ever considered necessary. These good ideas in addition served to be a great way to understand that other people have the identical passion like my own to learn more related to this matter. I know there are many more pleasurable occasions up front for folks who discover your blog. A lot of thanks for all your efforts on this web site. My mum delights in doing internet research and it is simple to grasp why. Most people learn all of the powerful ways you create very important tips and tricks on the blog and as well improve participation from other people about this content so our daughter is now being taught a lot of things. Take pleasure in the rest of the year. Your doing a glorious job. Thanks for all your valuable labor on this website. My mom loves participating in investigation and it is obvious why. A number of us notice all relating to the dynamic manner you deliver very important strategies through your website and in addition strongly encourage response from some other people on that concern then our own child is really learning a lot of things. Take pleasure in the remaining portion of the year. You are doing a good job. There are certainly lots of particulars like that to take into consideration. That may be a nice point to carry up. I supply the thoughts above as common inspiration but clearly there are questions just like the one you convey up where a very powerful thing can be working in trustworthy good faith. I don?t know if greatest practices have emerged round things like that, however I’m certain that your job is clearly recognized as a good game. Each boys and girls feel the impression of only a moment抯 pleasure, for the remainder of their lives.